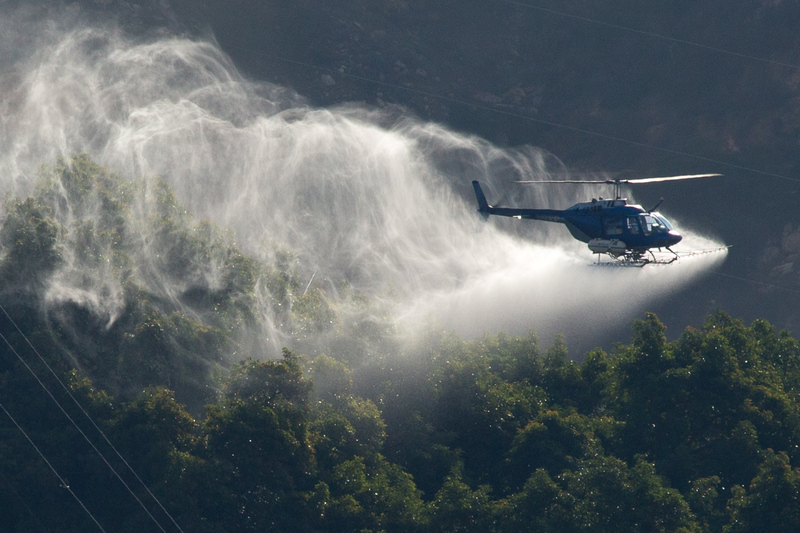 Spraying of the avocado groves has been going on ALL morning. I’ve got a call into Jason Schwartze at the San Diego County Hazardous Materials Program, 858-414-0083, who is in charge of groves. It’s REALLY WINDY right now. Windy conditiions are a terrible time to be aerial spraying (actually any time is terrible) not ONLY for us, but for the birds, the bees, the bugs . . . I spoke with Jason Schwartze, and he said the pesticide is abamectin. He couldn’t say if it is safe. 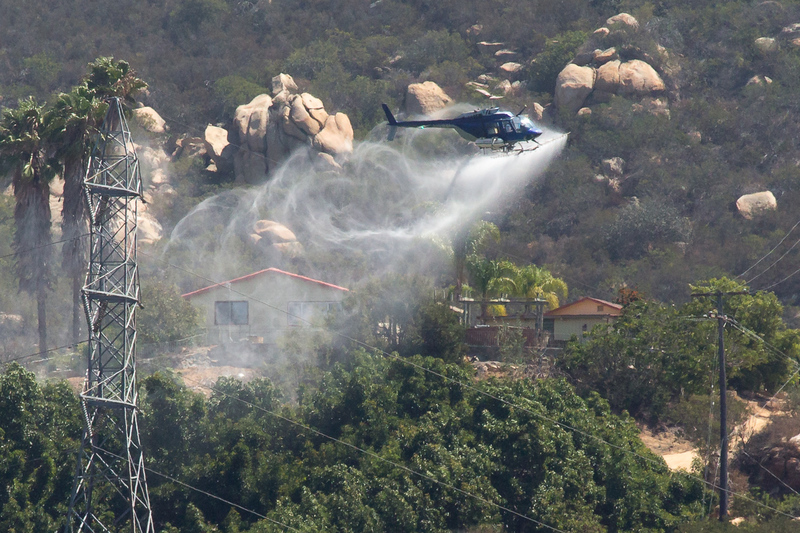 According to the Pesticide Information Project out of Cornell, UC Davis, and others, abamectin is “highly toxic to bees,” “relatively non-toxic to birds,” and “highly toxic to fish and aquatic invertebrates.” The avocado groves are planted on hillsides next to a feeder creeks that are part of the San Luis Rey River watershed. 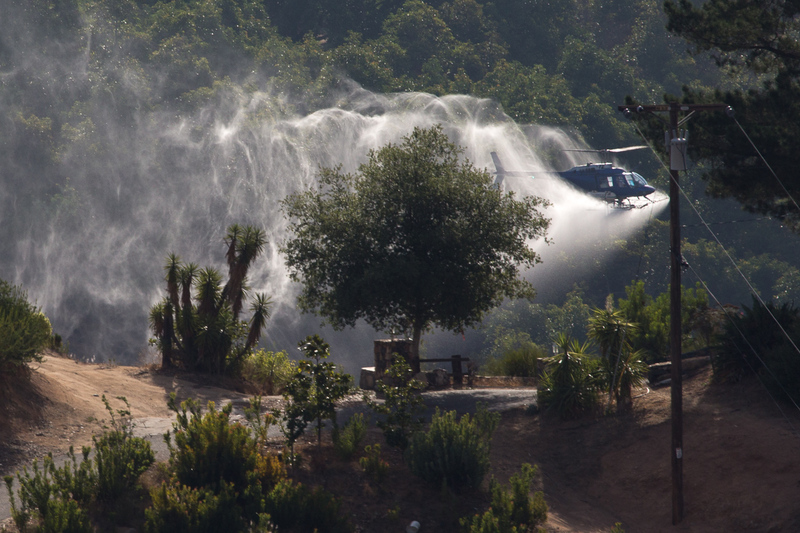 There were several guys working in the flower fields adjacent to the avocado groves when they were spraying this morning. Really incredible! No one was notified. 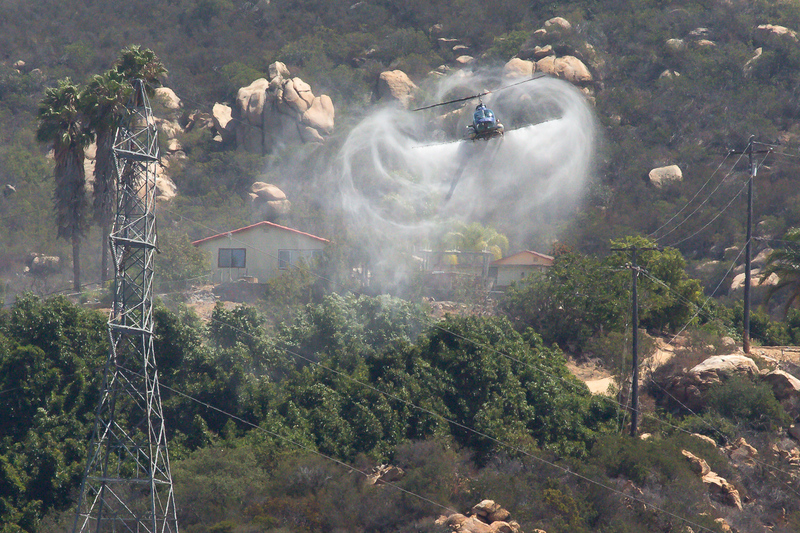 According to Jason Swartze at the SD County Hazardous Materials/Groves Program, there are two companies in SD County that do the spraying, Hummingbird and Pacific Rotor. It’s up to the companies to agree to put you on a list to contact you before spraying. It may be different with beekeepers. Larger issues here are the toxicity of the sprays used, the fact that according to Jason there is no notification system in place for non-target but adjacent agricultural fields and workers. 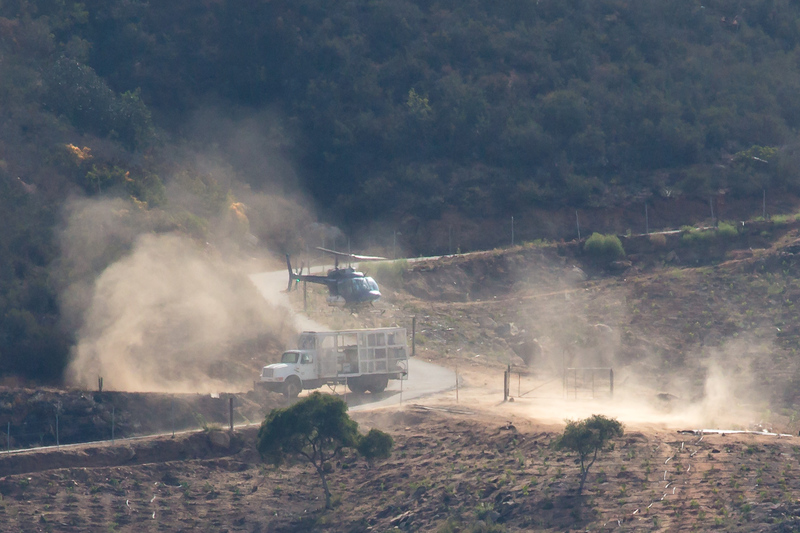 SD County is required to monitor the pesticide abamectiin, but Jason says he was there for only an hour to monitor and the spraying went on all morning. The spraying according to my photo metadata began at 8:30 a.m. and ended at 11:53, with an hour and 40 minute break between the two sessions. So Jason, the monitor from the county, was not present at the second aerial spraying when the wind had kicked up. Some university agricultural programs recommend no aerial spraying with winds over 8 mph. Federal guidelines are 15 mph. 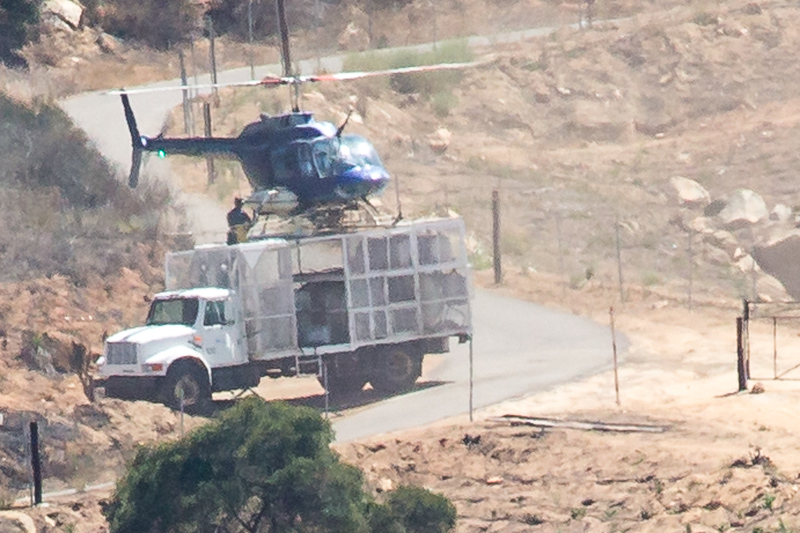 The company doing the spraying is the one doing their own monitoring, in this case Pacific Rotor. Not ideal. More later about a study focusing on people who use abamectin to try to commit suicide . . .
Aug 26, 2014 Dear Ms. Deborah Small, Excellent article Ma’am ! Above all, as the adage goes “A picture can speak a thousand words!” Looking forward to meeting you and discussing with you in person sometime, God willing. Sincerely, Dr. P. Chary.